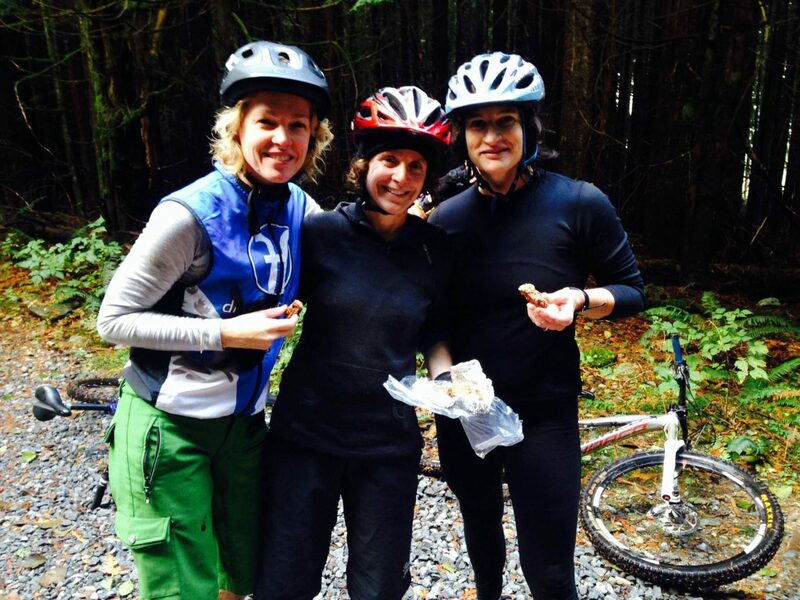 This is a classic mountain bike ride on the Sunshine Coast and you can complete it right from the ferry terminal, so if you are visiting from Vancouver, you don’t need to bring your car. This route is a solid climb of about 1.5 hours and a 45 minute to 1 hour descent back. The line is a local favourite as well as very popular with the BC Bike Race participants, which means thousands of people from all over the world have ridden it. Its popularity may be due to it being fast, flowy, and not too technical. There are a few bridges and exposed sections, but overall, this is a very accessible trail for all levels. This route follow Sidewinder to Highway 102, and ends with “afters Persephone Brewing. From the ferry, head to Sprockids Park to start your adventure. If you did bring your car, you can skip the first hill and start your ride at the Lower Flume Trailhead. The signage along the trail is good, but make sure you keep an eye out for the Highway 102 signs as you ride. The resting point is the turnaround point at the B&K logging road before you begin a incredible decent back to your stating point. 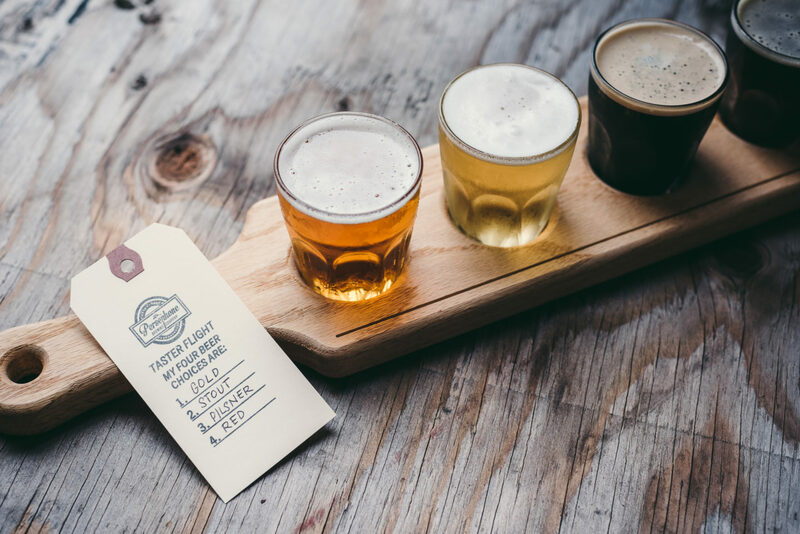 Stop in at Persephone Brewing after your ride and treat yourself to the local craft beer and homemade wood fired pizza from Farm to Feast food truck parked on-site at this brewery. Head straight from the ferry to the top of the hill and take a right at the lights at the top of the bypass on to Stewart Road. Turn left up the dirt road leading to the park entrance. Take Hwy 101 through Gibsons towards the Langdale ferry terminal. Go through the lights at the top of the bypass (big hill down to the ferry) on to Stewart Road. Turn left up the dirt road leading to the park entrance. 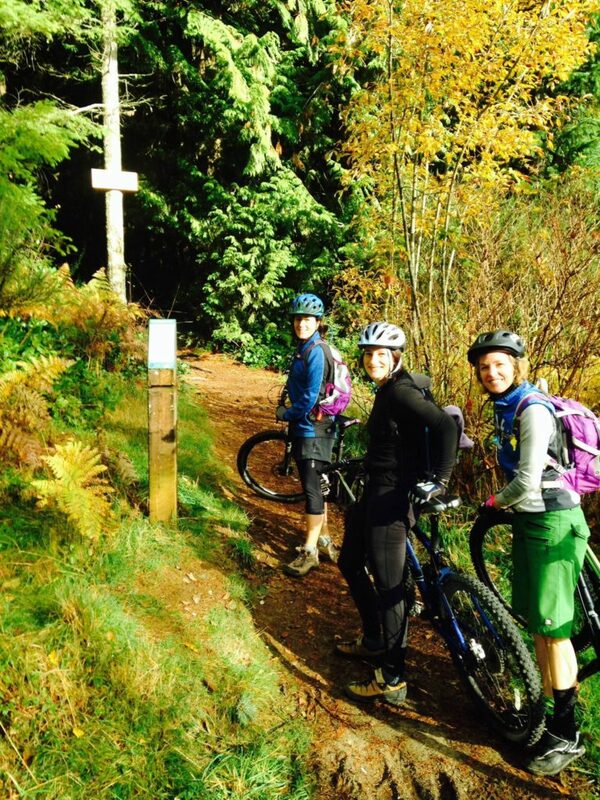 This guest blog was written by Off the Edge in Sechelt, a fantastic bike shop with great service and local knowledge. They are happy to help with all your biking needs when you visit the Sunshine Coast, whether a tune up, a rental, or a new ride.